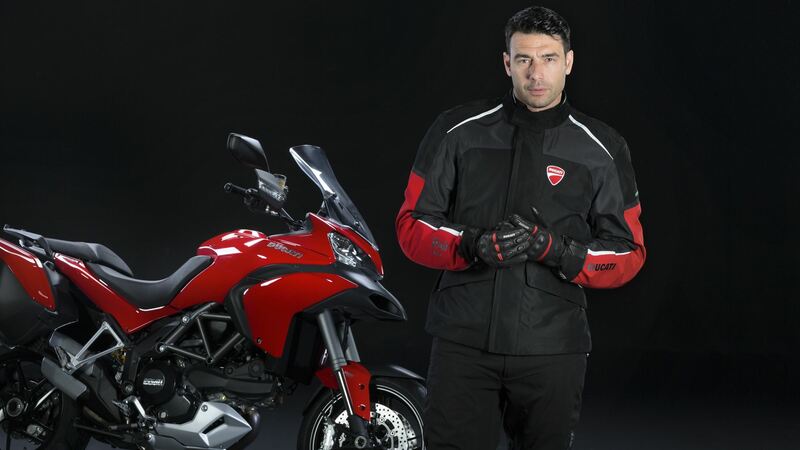 Italy’s iconic motorcycle manufacturer, Ducati, announces the introduction of the Multistrada D-Air model, featuring a fully integrated, intelligent system of sensors wirelessly connected to Ducati Apparel airbag jackets by Dainese. Marking a ‘world’s first’ in the motorcycle industry and combining the innovative designs from two famous Italian brands, the new Ducati model takes a significant step forward in two-wheel safety. Combining the expertise of both Ducati and Dainese, the intelligent passive safety system uses sensors built into the Multistrada’s existing electronics to constantly understand the vehicle’s dynamic situation and deploying only when subjected to a genuine accident scenario. The Multistrada D-Air system completes the data analysis and airbag deployment inside both the rider and passenger jackets in just 45 milliseconds, considerably reducing the risk of injury upon impact. Ducati’s premiere of the technology, developed in cooperation with Dainese, further underlines the Italian motorcycle manufacturer’s commitment to enhanced safety, already represented by their Ducati Safety Pack consisting of multi-level ABS and traction control. The new model will be available in European Ducati Dealerships from May 2014 onwards.